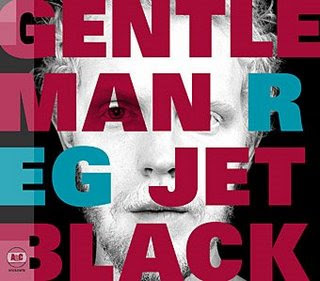 Yes, yes more posts about Gentleman Reg, I know, I know, but I must as Jet Black is an amazing record from start to finish. The follow up to Darby and Joan (and a hilariously awkward cameo in John Cameron Mitchell's ode to sexual release Shortbus.) ranges from poppy rockers like How We Exit, oddly danceable down-tempo numbers (we're in a thunderstorm) to total wrist slashers. Rewind (sample lyric- There's no point in going back when a masterpiece is crumbling) is about as heartbreaking as any thing this side of Antony and the Johnsons. His records can be tricky to find here in the states even in a music obsessed city like Portland (damn you superior Canadian indie rock scene!!) but are available on itunes and I totally recommend JET BLACK immediately!